Envision Touch Server is an all-in-one touchserver where you can manage your building with. This touch server features a touchscreen with high resolution and a low power consumption. This results in a comfortable user environment combined with the powerful functions of a ThinKnx server. And this, all in one PC! 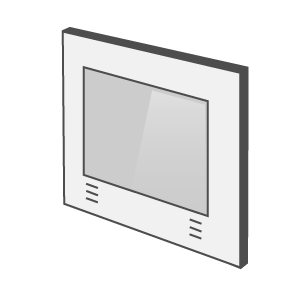 The most important key of the Envision touch server is the bi-directional interaction between the KNX-protocol and all the other supported machines, like Philips Hue and BTicino MyHOME.